Hanoi (VNA) – Vietnamese citizens had greater satisfaction rates with most basic public services thanks to the substantial improvements in provincial and local government performance, the 2018 Provincial Governance and Public Administration Performance Index (PAPI) revealed. Over 14,300 citizens randomly selected from all 63 provinces were interviewed for the report. The index assesses citizen experiences with national and local government performance in governance, public administration, and public service delivery. This year’s report marks a decade since the first PAPI research began in 2009. 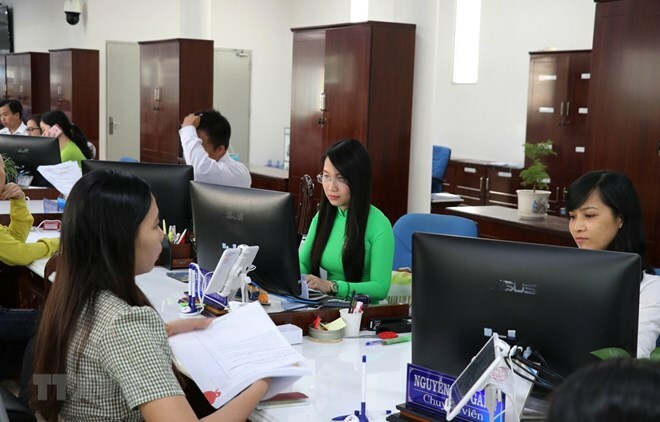 Over the past decade, more than 117,000 Vietnamese citizens from all parts of the country have contributed to making the PAPI a widely recognised source of objective, up-to-date data on local government performance for the interest of all Vietnamese citizens. Speaking at the report’s launch event in Hanoi on April 2, UNDP Resident Representative in Vietnam Caitlin Wiesen noted that “After ten years, PAPI continues to serve as a powerful instrument to promote good governance in Vietnam. The heart of PAPI is very close to UNDP’s mission – putting people at the centre of development. PAPI provides a tool for listening to citizens, to their expectations of government, and in that way enables them to participate in the governance process. Over the years PAPI has become a model instrument for participatory governance that other countries have sought to emulate as a key indicator for SDG 16 on peaceful, just, and inclusive societies." The report shows that fewer citizens have had to pay bribes for state employment, public healthcare, primary education, or construction permits. However, concerns over bribery for land use right certificates and the diversion of public funds by public officials have remained a constant over the past two years. While nearly 60 percent of citizens said that corruption at commune level had decreased in the past three years, the proportion dropped to less than 50 percent when asked about corruption at the national level. Corruption also emerged as one of the top three issues of greatest concern in 2018. Results also show positive progress by all provinces in public administrative procedures, including certification services as well as application procedures for construction permits, land use right certificates, and personal documents especially. However, considering the gap between the 2018 scores and the maximum scores possible, there is room for provinces to enhance their services, in particular the performance of one-stop shops for land use right certificates. Citizens reported several positive trends related to political participation at the local level in 2018. Results indicate a consistent decrease in the number of citizens reporting that they were asked by a village chief or local official to contribute to a project, suggesting decreased use of pressure to force citizens to contribute to a local infrastructure project financially, with in-kind contributions, or through their labour. Transparency in local decision-making also saw significant improvements, including higher satisfaction with clarity of commune budgets and expenditures. These are important improvements that speak to increasing openness at local levels. However, transparency in land use plans, despite some improvement, remains a weak area that local governments need to work on. Regarding the provision of basic public services, the 2018 results revealed a striking divergence. The public health sector saw continued improvement, largely thanks to the increased number of respondents with access to health insurance, with the coverage rate rising from 80 percent in 2017 to 87 percent in 2018. Scores in the basic infrastructure sector – which includes garbage collection, road quality, and electricity access – also improved dramatically in 2018. Public primary education saw some decline, however, mainly due to lower satisfaction with the quality of primary schools and primary education. As gender equality is a high priority in Vietnam’s sustainable development agenda, the 2018 report examines public views on gender and leadership positions. Findings from the research show that a majority of voters have no preference for either male or female candidates. It is important to note, however, that general progress in this area is not necessarily enjoyed equally by all groups. Ms. Cait Moran, Irish Ambassador to Vietnam, said at the launch of the report, “One of the areas where we have supported PAPI is on the issue of ethnic minorities, who are generally poorer and traditionally have had less access to public services. We are very keen to see a further focus on understanding the differences between ethnic minorities and other groups that PAPI focuses on, so that public policy can shift to fully support ethnic minority communities”.